New Delhi, May 23 : Production of natural gas in April recorded a year-on-year fall of 7.7 percent as both public and private sector explorers failed to meet targets, data released Friday by the petroleum ministry showed. The data, which came ahead of the announcement of new prices of the commodity, showed that the actual production of 2.77 billion cubic metres of natural gas in April represents a target shortfall of 5.9 percent, as well as a drop of 7.7 percent from the production recorded in the same month of the previous fiscal. 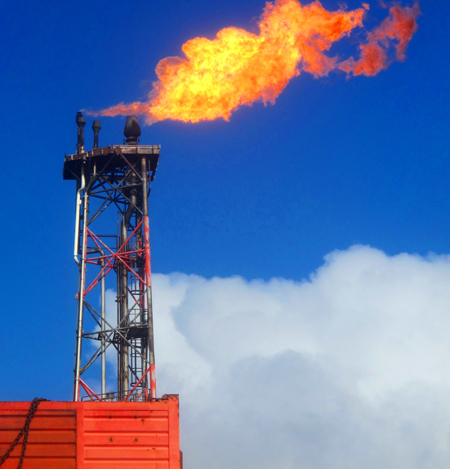 The natural gas production in April 2013 was over 3 billion cubic metres. While state-run explorer Oil and natural Gas Corp (ONGC) fell short of its April production target by 6 percent, private producers and joint ventures, which together produced over 733 million cubic metres of gas, too missed their month's target by 7.2 percent. The ministry said that around 10 wells in the KG-D6 fields operated by private players had ceased to flow. The new gas price approved last year by the Cabinet Committee on Economic Affairs headed Prime Minister Manmohan Singh almost doubles rates from the current $4.2 per million British thermal units. The Election Commission on March 24 ordered the oil ministry to defer announcing the increase until the polling ended. The Reliance Industries consortium operating the KG-D6 fields has called for immediately implementation of the new gas prices, saying it was planning to invest some $8-10 billion in the next few years to increase production from the KG-D6 block.